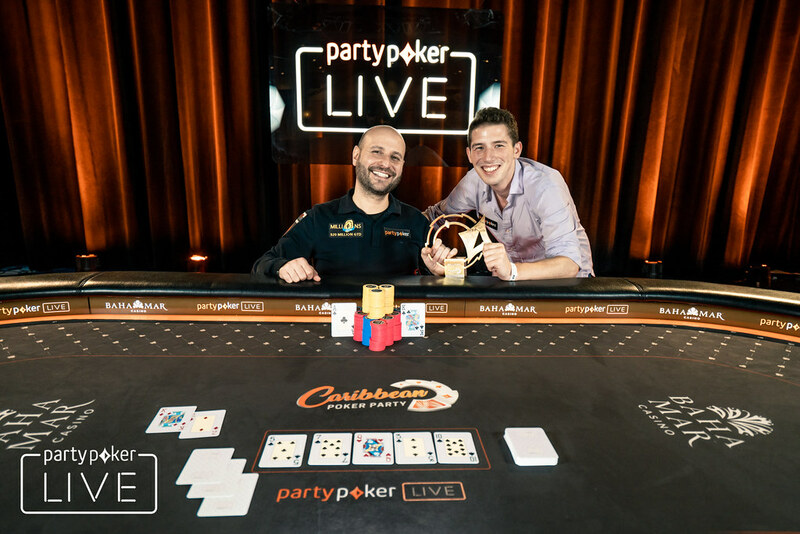 Team partypoker pro Roberto Romanello claimed victory in the $10,300 Caribbean Poker Party High Roller along with the first-place prize of $450,000. Romanello defeated Mustapha Kanit in a heads-up battle after the two players worked out an ICM deal earlier on. While there was still some money to play for along with the trophy, Romanello and Kanit exchanged some friendly banter and many laughs. But the heads-up match all belonged to Romanello who held the chip lead throughout in a dominating performance. The Welsh Wizard has accumulated nearly $3.5 million in his career, but he was really looking forward to getting his hands on the partypoker LIVE trophy. This will go down as one of his largest cashes and it was fitting that it came in a partypoker event. The day got started with 28 players returning to their seats but only 23 of them would make the money. After a flurry of bustouts in the first level, the money bubble was reached but it only took one hand. 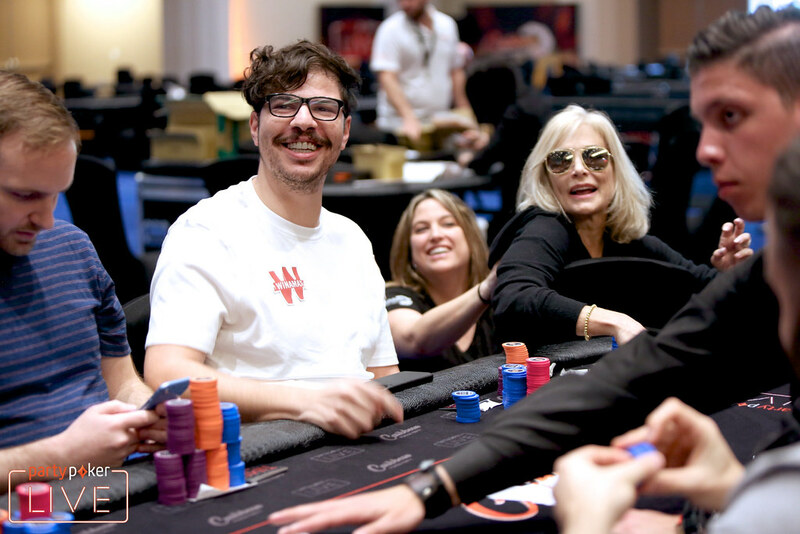 Bartlomiej Machon moved all in with pocket queens but ran into the pocket aces of Romanello, meaning the remaining 23 players were guaranteed at least $20,000. Unlike most tournaments, there weren't many short stacks after the money bubble and so it took some time for players to hit the rail. The field was littered with notable names and they continued to drop one by one. 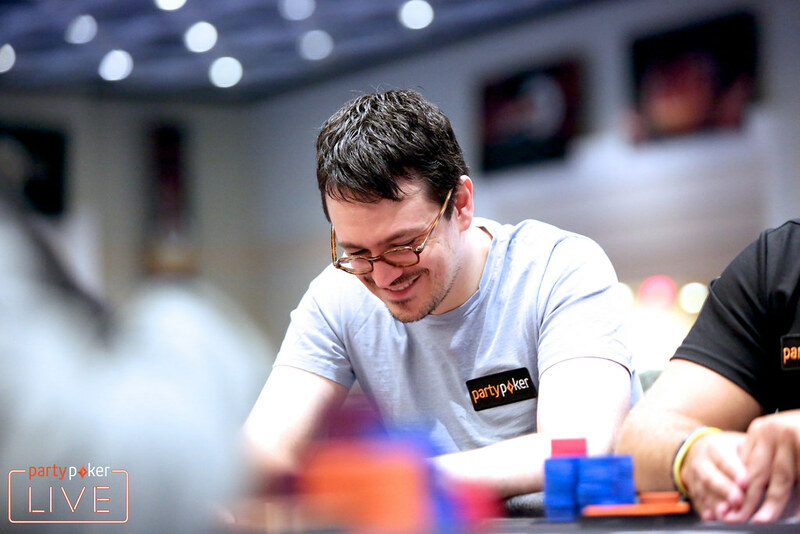 Some of the notables eliminated in the money include partypoker pro Isaac Haxton, Jonathan Duhamel, Thomas Muehloecker, Steve O'Dwyer, and Joseph Cheong. The unofficial final table was reached at a reasonable time, but the average stack of around 80 big blinds made for a lot of poker to be played. Nine-handed play lasted for well over two hours before Benjamin Pollak was finally eliminated. It was a little while later that the three short stacks hit the rail in quick succession. 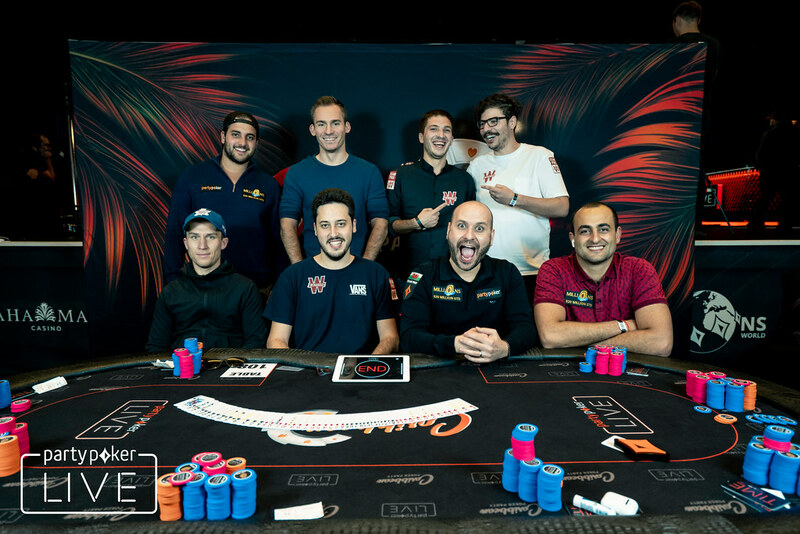 Adrian Mateos started the flurry when he ran into the pocket aces of Daniel Dvoress, followed by partypoker pro Joao Simao, and Guillaume Diaz who got his pocket kings cracked. Maybe the least familiar player at the table, Garik Tamasian, came in with the least amount of experience but was able to ladder his way up into a fifth-place finish. Tamasian got the last of his chips in the middle in a flip against Dvoress but was unable to connect with the board. That left Justin Bonomo on the short stack and he wasn't afraid to make some moves to try and climb out of the hole. However, his flopped top pair was no good against the turned flush of Dvoress and Bonomo was ousted in third place. The final three players agreed to take a look at the numbers but couldn't agree on making a deal. So play continued with an average stack of over 65 big blinds. Each player tossed the chip lead back and forth to the others and there multiple double ups over the course of three hours. One large double from Romanello left Dvoress on the short stack and he eventually lost a flip against Kanit. That set up the heads-up match between Romanello and Kanit and the two had a blast dueling each other for over an hour. Romanello held the early chip lead and he would never look back, picking off a couple bluffs from Kanit. In the last hand of the night, Romanello picked up ace-king on the button against the king-deuce of Kanit. The board ran out clean for Romanello and the tournament finally ended in the early hours of the morning. 18+ | BeGambleAware | Play Responsibly. Manuel Ruivo Wins MILLIONS Online For $2.33M! MILLIONS Online Day 1E: Guarantee Smashed! MILLIONS Online Day 1D: $20M Guarantee In Sight!